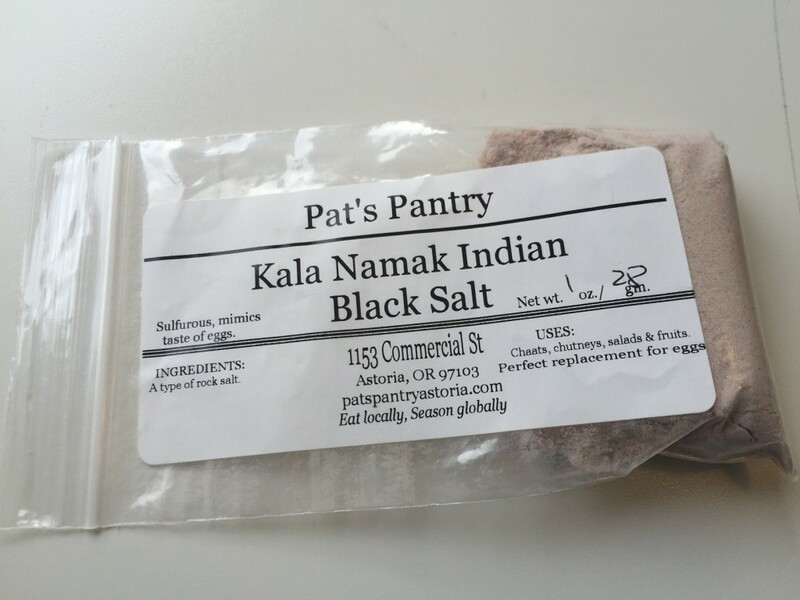 I have been searching for a specific Indian black salt called kala namak for awhile. Not so hard that I would actually drive to Beaverton, or even NW Portland, but I do look in all the spice areas of stores. I’ve been looking for so long, I forgot which recipe I needed it for! Finally, a spice store from the coast opened a brand new location in our neighborhood and they had it in stock. It is a very interesting salt with it’s sulfuric smell and taste. I decided to start my experiments with this quiche from the One Green Planet’s list, simply because I had all the ingredients. This was very healthy, although I ate way too much of it. No crust makes this gluten free too. After all this, I almost forgot to use my special new salt instead of regular when making this recipe! Grease a shallow 9″ pie dish and set aside. 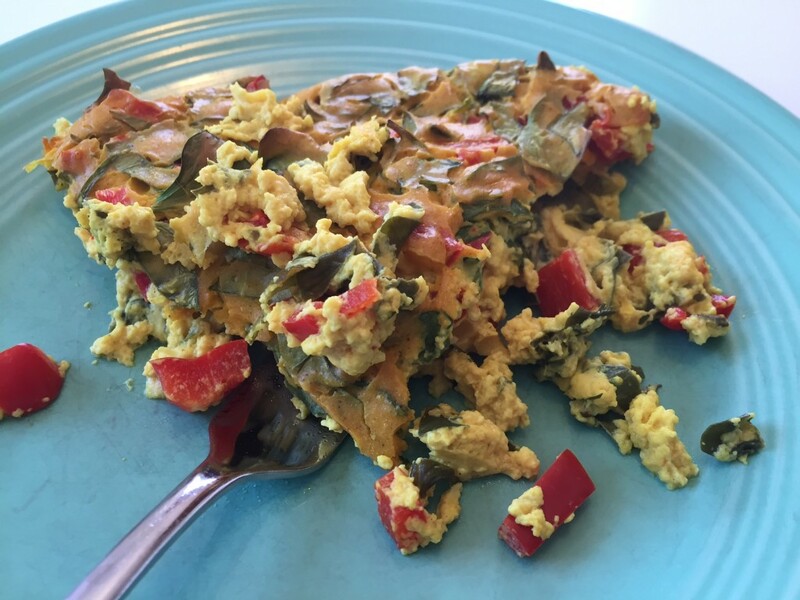 Combine all ingredients, except spinach and pepper, in a Vitamix or food processor and blend until smooth and creamy, stopping to break up chunks and scrape the sides as necessary. In a bowl, mix chopped spinach and pepper. Add the batter and mix well. Transfer batter to pie dish. Using a spatula, spread the mixture around so it’s even and tight. Bake 30-40 minutes, until golden and the center is not still mushy. Allow to cool at least 10 minutes before slicing (luke warm or room temperature is best for slicing).